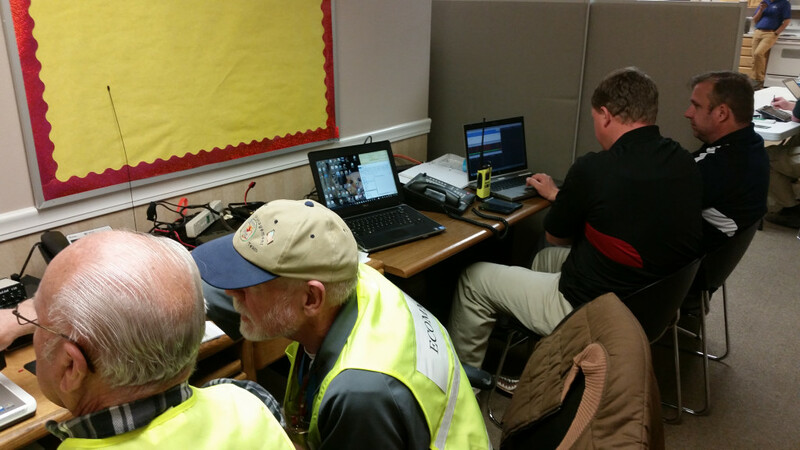 CEDAR CITY — Emergency response agencies pulled off one of the largest full-scale health disaster drill scenarios ever performed in Southern Utah Thursday morning. 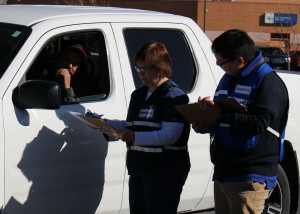 From 10 a.m. until noon, a steady stream of volunteers funneled into the east parking lot of Valley View Medical Center complaining of fevers, coughs, body aches, breathing problems and anything else that could come along with a flu pandemic. The pandemic influenza emergency exercise was an all-encompassing event, said Paulette Valentine, Southwest Utah Public Health Department Emergency Preparedness and Response Division director. 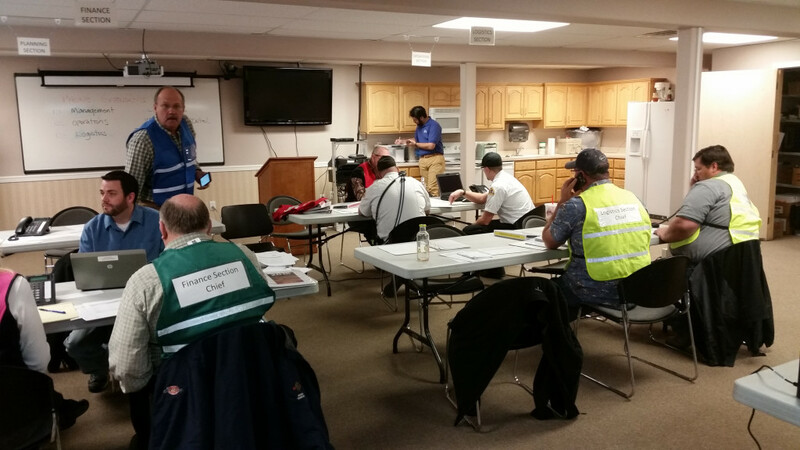 The drill included amateur radio operators, all dispatch centers, law enforcement, Community Emergency Response Teams, ambulance partners and medical staff from all six hospitals throughout the five-county region made up of Washington, Iron, Kane, Beaver and Garfield Counties. “It’s full-scale, so it’s like the biggest exercise we’ve ever done,” Valentine said. As each carload of flu patients made their way through the orange cones at the entrance of the hospital’s east lot, they were greeted by a team of “certified nurse assistants” for triage. The nurses assigned degrees of urgency to each patient and either sent them home or on to the next group of nurses to be admitted to the hospital. 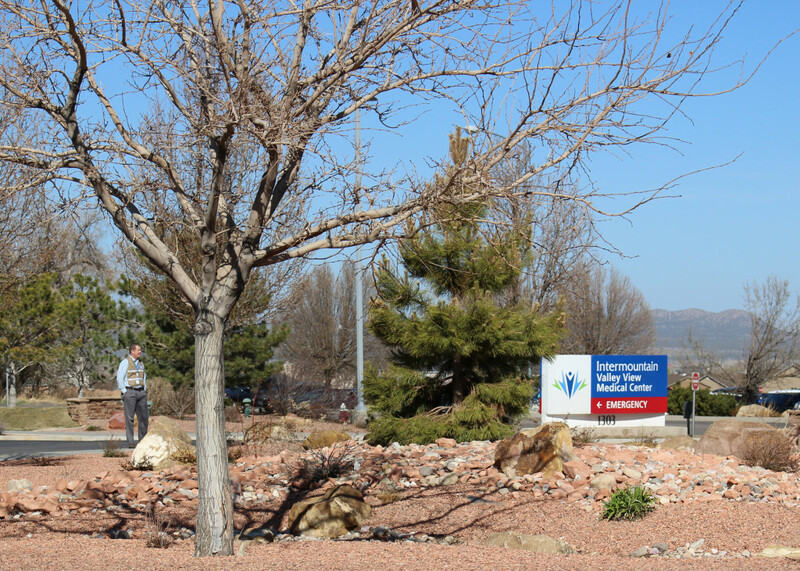 “They’re just trying to manage the logistics of finding a place to put everybody,” said Jody Johnson, Valley View Medical Center Emergency Preparedness Coordinator. Volunteers pulled through the triage area coughing, crying, yelling and smiling, depending on the role that was assigned to them. 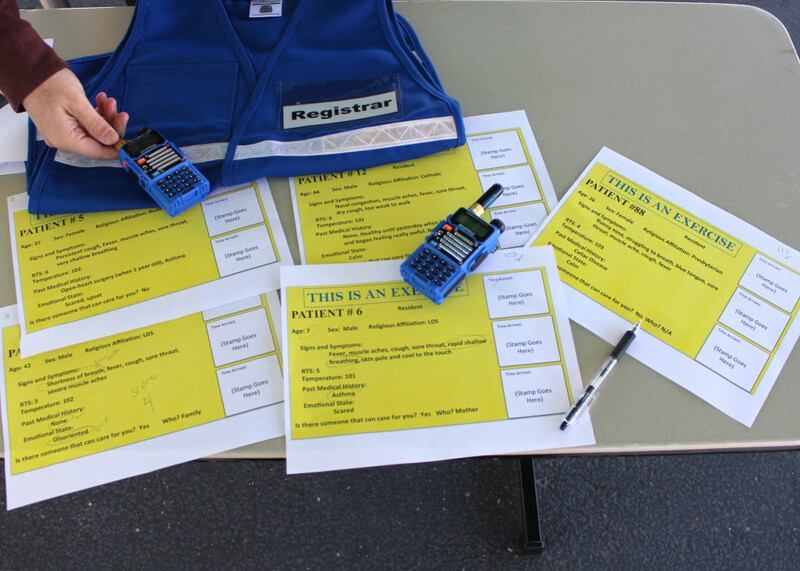 Some of them were assigned more than one role to support the need for volunteers. Volunteers Sherry Allen and her daughter Haley Allen, who drove around the parking lot twice playing various characters, said they were excited to act out the various roles assigned to them to help with the pandemic drill. Gold Cross Ambulance responded to the call, Sherry Allen said, adding she was surprised at how fast they arrived. Once on scene they collected vital information from her assigned patient profile to see if she should be transported or not. 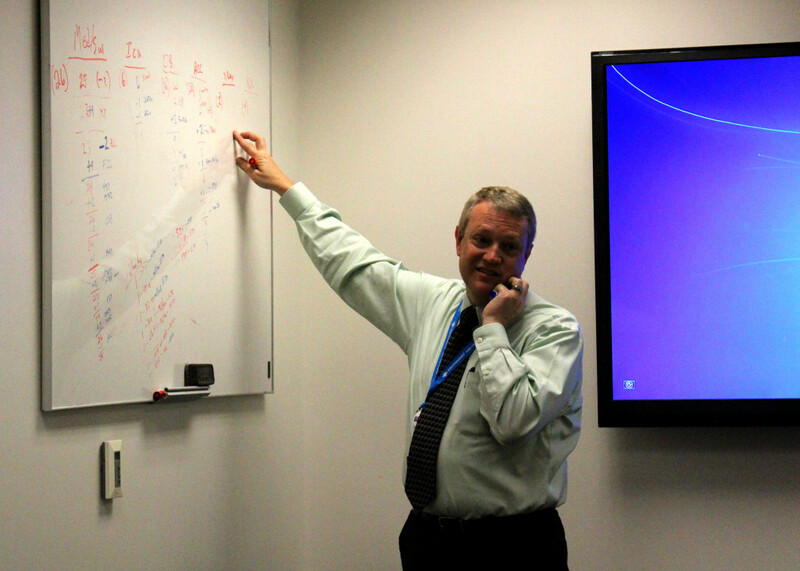 When the drill began Thursday morning the flu pandemic scenario was in its sixth week, impacting people across the western U.S. and resources were scarce all over, Johnson said. There was no backup medicine available or extra equipment needed for the volunteer patients. From there, Johnson said, doctors will determine whether to pull a patient from the ventilator machine in order to provide that service to someone else. 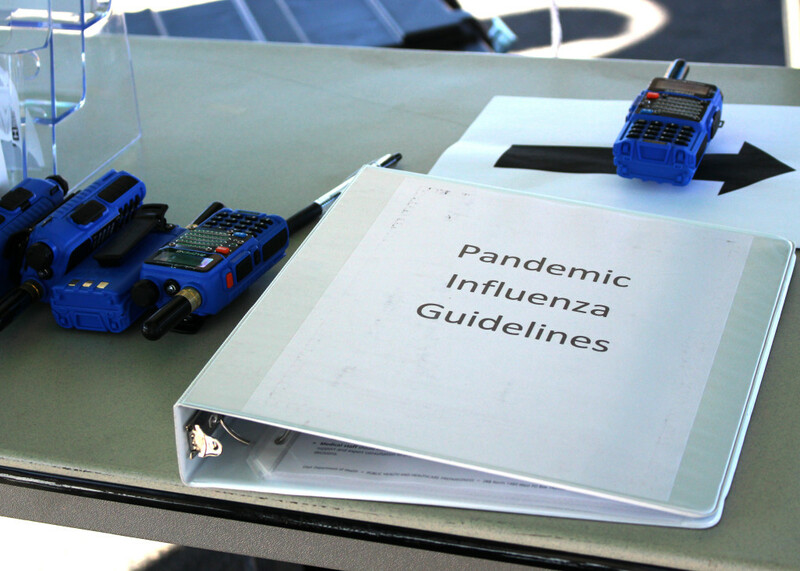 There are a lot of tough decisions to make, he said, and the health department’s strict criteria for how to make those decisions is published in the Utah Pandemic Influenza Hospital and ICU Triage Guidelines manual. Hospitals have already implemented altered standards of care regarding nurse-patient ratios and have already expanded capacity by adding patients to already occupied hospital rooms (and) hospital staff absenteeism is 30 percent to 40 percent. An Incident Command Center was established inside of the hospital where various members of the administrative and medical staff from the hospital worked together to ensure there would be enough rooms, medications, staff and equipment available to handle the surge. 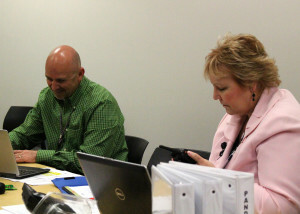 Problem solving in a drill scenario is essential if an agency is going to be prepared to handle a real-life scenario in the future, said Mike Bench, Intermountain Healthcare Southwest Region support service director. 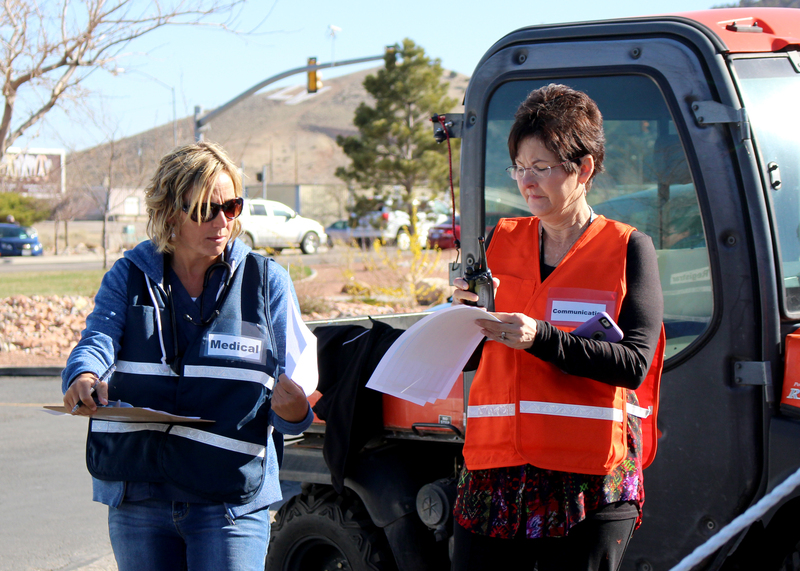 Knowing that community first responders participate in mock pandemic drills like the one on Thursday is comforting, said Sherry and Haley Allen. A lot was learned after an afternoon of rehashing the event with leaders from each of the instrumental agencies that participated, said John Higley, Iron County Emergency Management coordinator. I just got done with a terrible flu/virus I don’t know what it was I didn’t go to doctor but it was bad, fever for days, cough, body ache, lethargic, no appetite ( that was ok lol) it’s been 7 days and still weak but much better. I hope no one gets it, it’s miserable. I did start to think it was government testing of a virus. And now I see this, and my government conspiracy theory radar is on high.